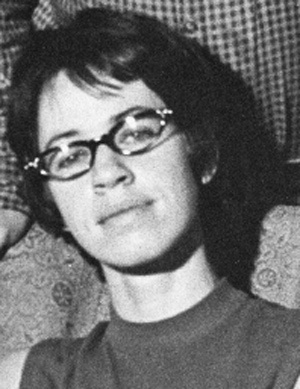 Judith Copithorne was involved in the heyday of experimental writing and publishing that was centred in Kitsilano in the early 1970s. Published in the first issue of bill bissett's blewointmentpress, she has conducted workshops in schools and published several poetry collections, plus co-produced West Coast Cards, four postcards with George Bowering, Sharon Thesen & Robin Blaser (Vancouver: West Coast Line and Beaver Kosmos, 1990.) "There was a lot of consolidation, power plays, critical wars and various other sometimes completely underground battles in the 70s," she recalls. "Often much tighter and smaller groups emerged both for good and bad... As a person interested in variety, change, curiosity and the unexpected, I prefer a more open groupings." Born (1939) & have lived, mainly, in Vancouver. Received B.A. & Teachers Certificate from U.B.C.. Involved with writing, concrete poetry & other interrelated forms throughout life. Selected Books and Pamphlets: RETURNING. North Vancouver, Returning Press, 1965. RELEASE. Vancouver, Bau-Xi Gallery, February, 1969. RAIN. Toronto, Ganglia Press, 1969. RUNES. Toronto & Vancouver, Coach House Press & Intermedia Press, 1971. MISS TREE\'S PILLOW BOOK. Vancouver, Intermedia Press & Returning Press, 1971. UNTIL NOW. Vancouver, HeShe&ItWorks, 1971. ARRANGEMENTS. Vancouver, Intermedia Press, 1973. A LIGHT CHARACTER. Toronto, Coach House Books, 1985. TERN. Vancouver, Returning Press, 2000. HORIZON. Toronto, Pangan Subway Ritual, 1992 "Recently I have published work in several places including fhole, 1 cent, industrial sabotage, West Coast Line, Rock Salt, Rampike & Making Waves, (containing list of important poetry events & publications occurring in Vancouver proper in the 1960\'s), published by Anvil Press, Vancouver in November, 2010. Issue 400 of 1 cent contains a bibliography. It can be acquired from jwcurry\'s book store, Room 302, 880 Sommerset West, Ottawa K1K 6R7." Daniel F. Bradley has published her work in fhole as has jwcurry in industrial sabotage & also as post cards & broadsides. She has published Brackets & Boundaries under her own imprint. Some of her work can be seen on-line at www.Ditch poetry.com , The Intermedia Poetry Project, & 17 Seconds (a journal of poetry and poetics), Issue 2. 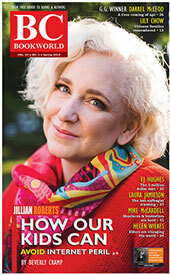 Issue 400 of 1 cent, 15 March, 2009, contains a bibliography of much of her work to that date. It can be acquired from jwcurry's book store, Room 302, 880 Sommerset West, Ottawa K1K 6R7. Judith Copithorne has compiled a check list of important poetry events & publications occurring in Vancouver proper in the 1960s, with her commentary on these events, in a collection of essays called Making Waves, edited by Trevor Carolan for Anvil Press in November of 2010. This checklist is also available on-line in Issue Three of the University of the Fraser Valley Research Journal. Release: Poem-Drawings (Vancouver, Bau-Xi Gallery, 1969). Rain (Toronto. : Ganglia Press, 1969). Runes (Toronto/Vancouver: Coach House/Intermedia, 1971). Miss Tree's Pillow Book (Vancouver: Intermedia / Returning Press, 1971). Until Now (Vancouver: Heshe&ItWorks, 1971). Heart's Tide (Vancouver Community Press, Writing Series #8, 1972). Four Parts Sand (Oberon Press, 1972). With Earle Birney, bill bissett & Andrew Suknaski.